AdaptNRM is a multidisciplinary project that brings together a diverse group of scientists working with NRM practitioners. While the project itself consists of researchers from CSIRO and NCCARF, our output and initiatives have been shaped and informed through the generous input of NRM practitioners across Australia as well as a multitude of researchers, state and federal government stakeholders. We sincerely thank all those who have been part of this in allowing us the opportunity to work and engage with you throughout the process. 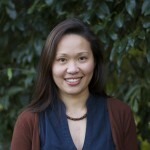 Lilly Lim-Camacho is a social researcher at CSIRO. Lilly’s primary role in AdaptNRM is leading engagement with NRMs and researchers to ensure delivery of user-needs based, relevant climate adaptation information. She has a strong interest in science communication, and is currently involved in a range of national and international projects aimed at delivering climate adaptation science to natural resource managers and primary industry organisations. 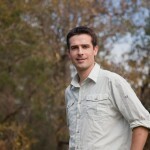 Barton Loechel is a social researcher in CSIRO Land & Water. Barton’s main role in AdaptNRM involves liaising with the science team and NRM planners around the invasive plant species module development and leading the Monitoring & Evaluation and shared learning module. Barton has a background in agricultural science and rural sociology, researching issues as diverse as rural education, community development, climate change and mining and holds a PhD in regional NRM governance. 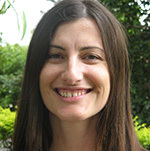 Talia Jeanneret is a research projects officer in CSIRO Land & Water, based in Brisbane. Talia’s role in AdaptNRM is to support the delivery of the biodiversity and shared learning modules. Talia has a background in environmental science and recent research has included public attitudes and engagement around energy technologies and climate change. 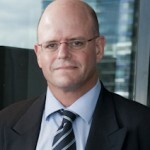 Dave is Deputy Director of the National Climate Change Adaptation Research Facility at Griffith University. He is an environmental scientist with 20 years experience in water quality, estuarine and marine ecology, and natural resource management, and has worked in a range of natural resource focused agencies. He has a strong interest in the use of science to inform management and policy, and works hard to ensure that this occurs. 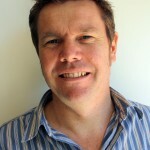 He is currently involved in developing a series of case studies around good practice in adaptation, synthesising monitoring outcomes from the Moreton Bay Marine Park and a collaborative stewardship project in the Mary River catchment. 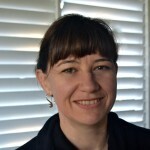 Sarah Boulter is a Research Fellow with the National Climate Change Adaptation Research Facility, Griffith University, where she works on synthesis and communication of adaptation research. 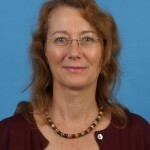 She has been involved in the development of policy guidance development programs for adaptation and synthesis of information on forest management. Her research background includes studies of biodiversity and reproductive ecology of forested systems and the impacts of climate change. 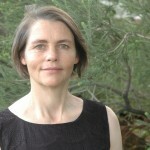 Veronica Doerr is a Senior Research Scientist with CSIRO. Her field-based research focuses on understanding natural processes that occur at landscape scales, like dispersal. She then uses that knowledge to help inform the design and management of landscapes and connectivity, including accommodating shifts of biodiversity in response to climate change. Because her background includes behaviour and decision-making in animals, she increasingly works on human decision-making for adaptation and how best to provide ecological information to support that process. 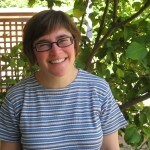 Nadine Marshall is a senior social scientist with CSIRO Land & Water, based in Townsville. Her research focuses on the relationship between people and natural resources for the purposes of better environmental decision making. Much of her research also aims to better position primary industries (fisheries, tourism and agriculture) to better prepare for climate, environmental and cultural change. She has extensive experience in working with policy makers and she currently leads a research portfolio of over $2M. 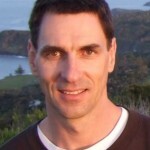 John K. Scott is a Principal Research Scientist with the CSIRO, based in Floreat, Western Australia. His research for over 30 years has been on the ecology and management of weeds and has had a focus on using biological control against weeds of mainly southern African and Mediterranean origin. Recent research includes risk assessments for potential weeds and the adaptation responses required for weeds under climate change. 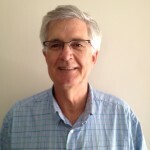 Bruce Webber is a Senior Research Scientist with CSIRO Land & Water and an Adjunct Associate Professor at the University of Western Australia. Bruce is a plant ecophysiologist exploring the effect of rapid global change on plant-resource allocation and plant-ecosystem interactions. With interests in invasion science, conservation biology and food security, he is applying novel methods and advancing conceptual underpinnings to better understand range shifts, landscape connectivity and plant fitness.